This is one of the books that helped build my love for Scotland, its green countryside, and the lively people. 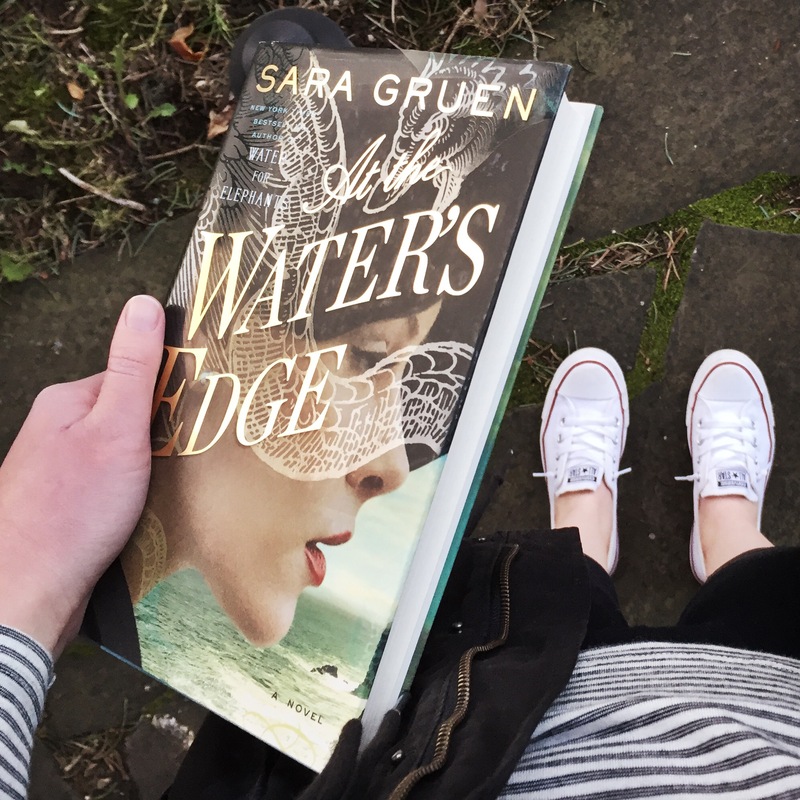 Sara Gruen, the author of Water for Elephants, has returned with another great book, At the Water’s Edge. The story centers around Maddie, a young woman from high society Philadelphia. During World War II, she travels to Scotland with her husband and his best friend in an attempt to locate the Loch Ness monster, following a trail left by her father-in-law. After behaving poorly at a party, Maddie and her husband, Ellis, hope that finding the mystical monster will win back his favor. Maddie has grown up in a very restrictive environment, bound by the rules of society and distant parents, but doesn’t realize how much so until she arrives in Scotland. The Scottish barmaids and inn owner open her eyes to an entirely different world and she finds herself drawn to it. In the Scottish countryside she also finds out that the man she married may not be who she thought he was. Her charming husband turns out to be a nasty brute while a new man in Scotland may win her heart instead. At the Water’s Edge has a snowball effect, picking up speed as the story goes on. With an intense ending, I was gripping the book until the very last page. I really liked the story and found myself rooting for Maddie the whole time! Oh, your review definitely got me interested in reading At the Water’s Edge. Have you read Water for Elephants, too? If so, did you like At the Water’s Edge as much? I’m wondering which Sara Gruen book I should start with. Hmm that’s a tough question. I haven’t read Water for Elephants for a couple years, but it was really good and the circus theme was interesting. On the other hand, At the Water’s Edge is set in Scotland, which I love, and has a very touching romantic twist… So I guess my answer is that you can’t go wrong with either! Such a good choice, I was lucky enough to go to Edinburgh this past summer and it was beautiful!! Glad you enjoyed this! I own both this and Water for Elephants, but I’ve only seen the movie (loved it!) so I bought both on a whim. I actually had the chance to meet Sara in October and it was great hearing her read from the book and talk about her inspiration. Yes she’s a great speaker! I think I’ll start with Water for Elephants first, it’s always in the back of my mind haha. Great review – Water for Elephants is on my list to read, and now so is At the Water’s Edge! Thank you! Both are great books so I hope you enjoy!